It’s all fun and games until the neighbors start complaining. That’s the situation in Cambria, where there is friction among some town residents and business owners in the heavily agricultural town in Niagara County. Many of the town’s residents are farmers, which can be a tough way to make a living. Some try new ways to produce income, like opening a winery on their property, or charging admission to a sunflower field. 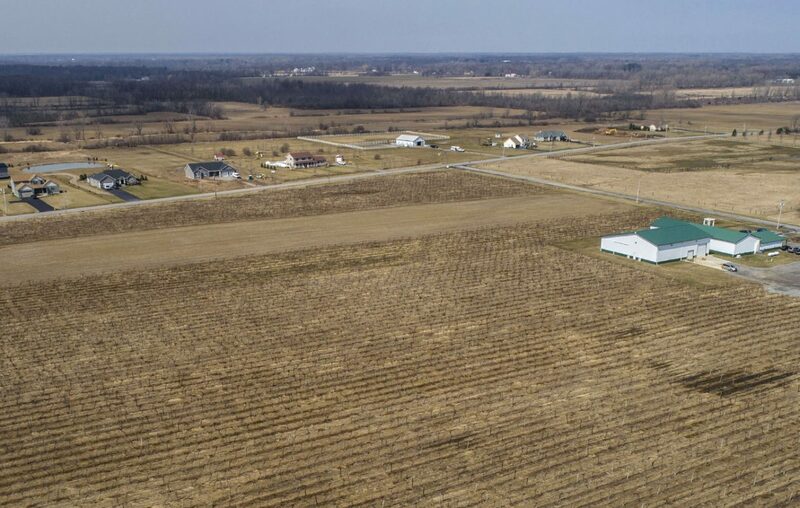 Some other residents objected to the traffic or other side effects of their neighbors’ ventures into agri-tourism, and convinced the Town Board to adopt new zoning ordinances to put limits on future businesses, and wineries in particular. The town hasn’t heard the last of the controversy. No one wants to see Cambria’s rural charms trampled by commercialism, but if the people are too resistant to change, their town’s economic prospects will continue to decline. Clinging too tightly to “the way things used to be” often acts as a stick in the spokes of economic development. The Town Board in March adopted new regulations that apply to special events and the construction of wineries and other facilities that make alcoholic beverages. Crowds at promotional events are limited to 250 people, except for Wine Trail events or private parties. And the transfer of ownership must be approved by the town, unless it’s done within the family. The town passed the regulations by a 3-2 vote. One of the proprietors, Shane Gustafson of Gust of Sun winery, feels the wineries are being unfairly targeted. A neighbor of her property on Baer Road complained about unruly behavior by winery visitors, a claim that Gustafson and her husband, Erik, say is exaggerated. The Gustafsons aren’t sitting idly by. Shane Gustafson, who moved from Monroe County to start the winery, is running against Town Supervisor Wright H. Ellis, in the June Republican primary. There’s a bit of NIMBY syndrome at work in Cambria: Not in my backyard. Residents have raised objections to neighbors who take money to have solar energy panels placed on their properties. Last September, Sunflowers of Sanborn, a sunflower field on Route 31, added food and other vendors, to capitalize on the many visitors who stopped to take photos in the field. The town, after neighbor complaints, ruled Sunflowers of Sanborn was an illegal business, as it was a single-family residential zone. The fields of Cambria are fertile, with good conditions for growing grapes. Cambria’s seven wineries are a popular part of the Niagara Wine Trail. If farm owners are discouraged from trying new crops, business models and ways to attract customers, more of them will go out of business. Staying open to change is Cambrians’ best hope for building upon their town’s farming heritage.